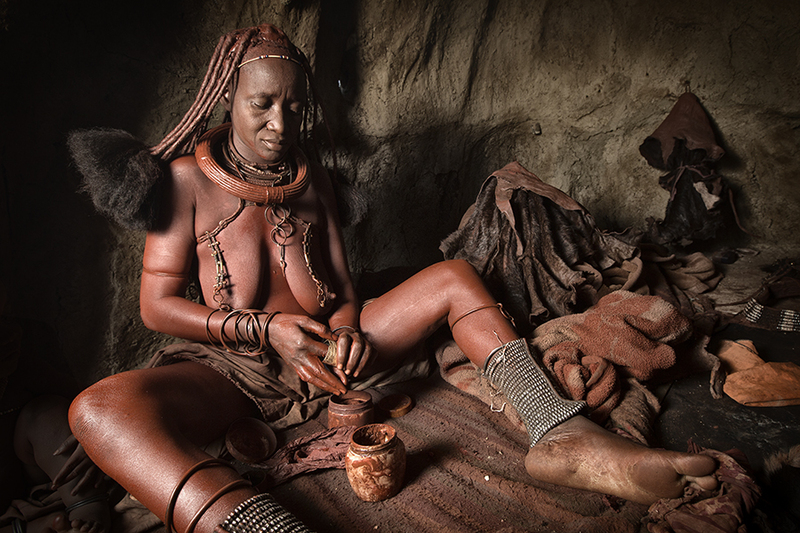 Photographs from my time living with the Himba people of Northern Namibia. 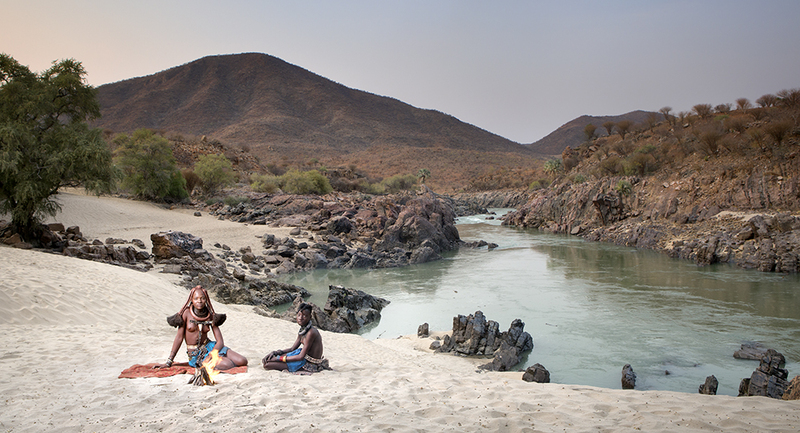 These images were created over a period of 9 years and shows various aspects of the Semi Nomadic Himba people. 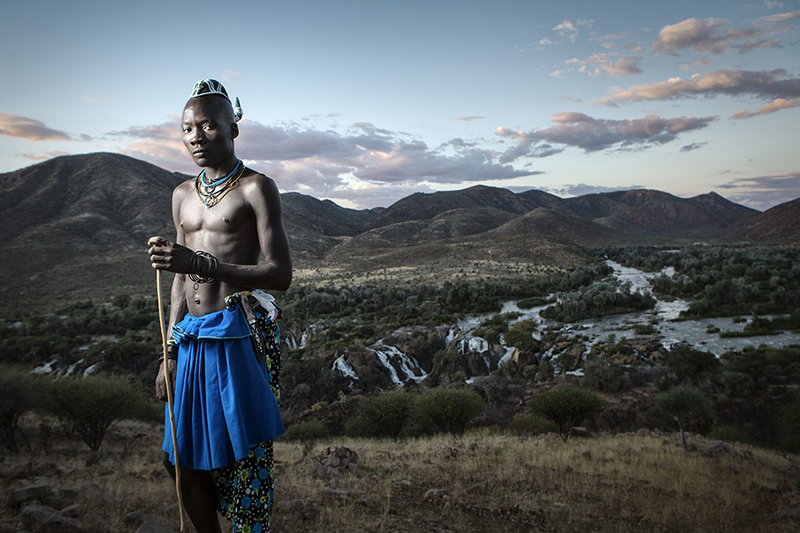 Hidden rituals and candid insights into their culture and lives are shown in beautiful colour to give you the viewer a great insight into one of Africa;s most beautiful cultures. 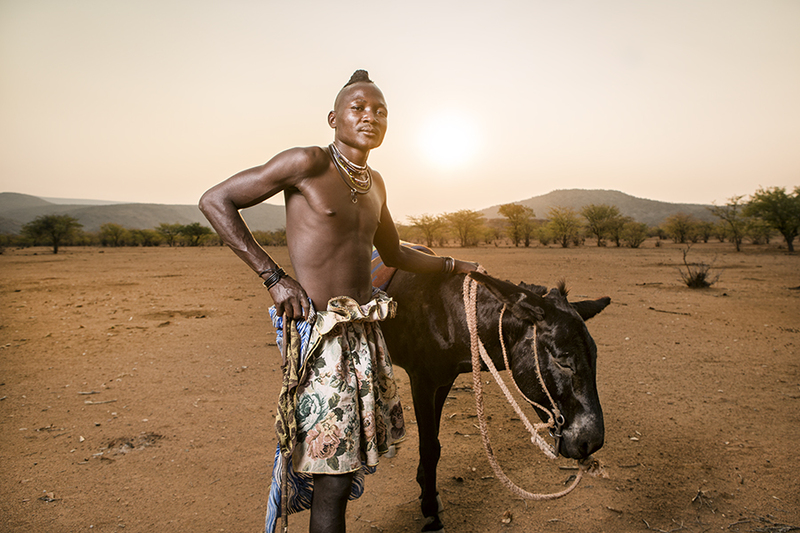 Are a semi nomadic people who live in the far northern reaches of Namibia and Southern Angola. I had long wanted to photograph these beautiful people as I had always regarded them as the most beautiful people on the African continent, if not the world. Nine years ago I ventured into the small settlement of Epupa that sits on the banks of the mighty Kunene River. 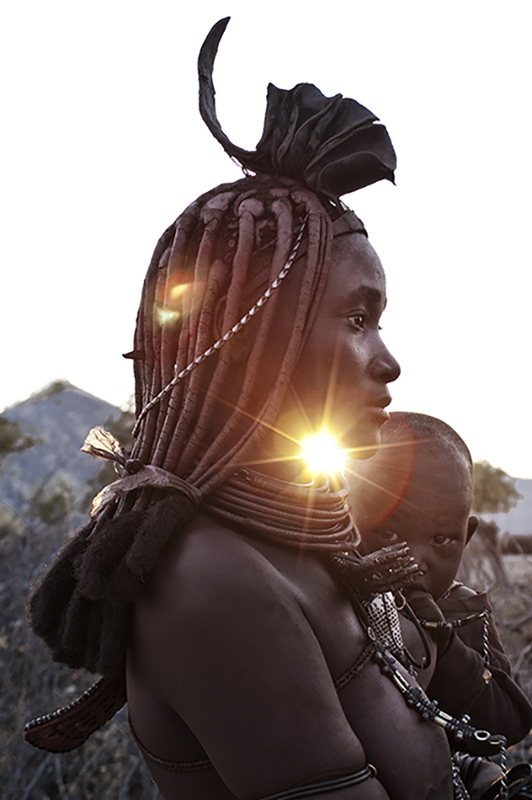 I was there to meet the Himba and try to understand a little more about their culture, I did not know at the time I would uncover something else. Due to a number of circumstances I began to develop a relationship with one particular village. This relationship soon spread to other villages and has now seen me return on an annual basis to live within these villages. I have seen children grow and elders pass, I have had the chance to experience and photograph things very few westerners have seen. My photography has developed as too my relationship and understanding of their culture, their lives and the harsh realities that they deal with on a daily basis. 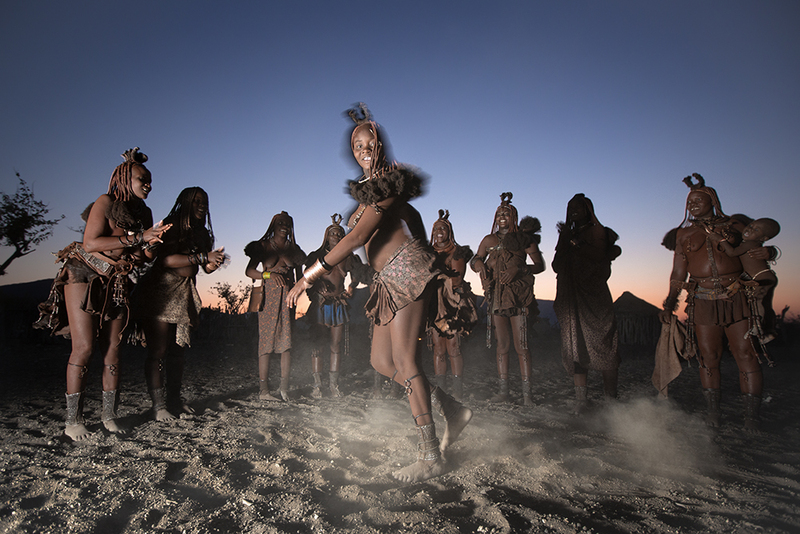 This collection is a small insight into my experiences and the journey that I have shared with some very close and special Himba.